Equipment handout night signals the start of the season! We are the home of the Spring Lake Park Panther Youth Football Association, established in 2014. Our program serves students and families living in the attendance boundaries or attending the Spring Lake Park School District serving parts of Blaine, Fridley and Spring Lake Park. In 2014, our first season, we served more than 280 players and families grades K-6. 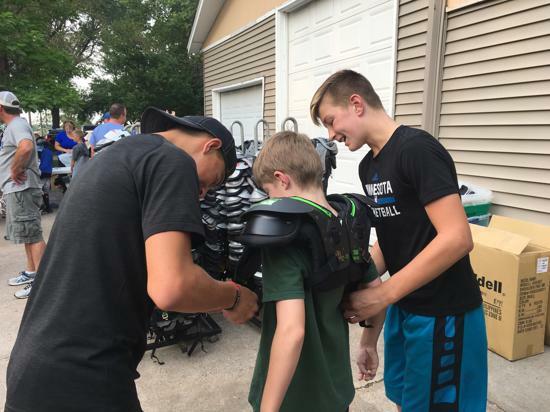 In 2015 we created a partnership with the Spring Lake Park School District and added grade 7-8 football through our association and we served more than 375 youth grades K-8 in 2015 & 2016. Please contact us if you have any questions about our program. We are here to help make your youth football experience the best it can be. We are all in this together! Contact a board member direct if you need further assistance. 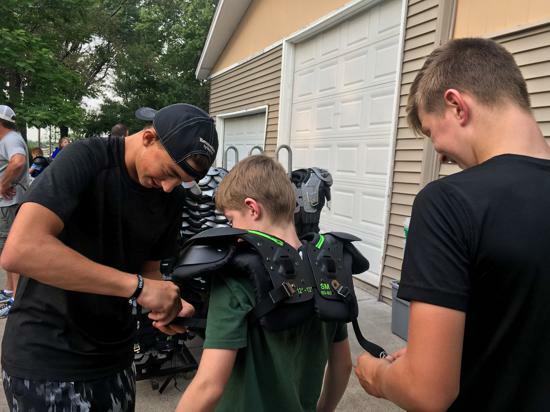 The mission of Spring Lake Park Panther Youth Football is to enhance the quality of life of everyone involved and make a positive impact on all participants - players, coaches, families, and officials. Providing quality coaching to develop football knowledge, skills, self confidence and team building. Providing a safe and fair playing environment which emphasizes respect, self-discipline, hard work and fun. Promoting community involvement through volunteer opportunities and open communications for all. Educating our players, coaches and parents on how to support and grow a youth sports program. Maximizing the opportunities for all to participate and play regardless of their means and abilities. ©2019 Spring Lake Park Panther Youth Football Association / SportsEngine. All Rights Reserved.